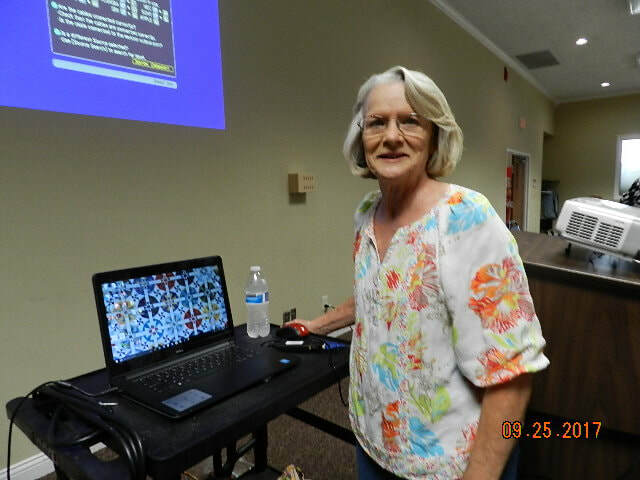 Mary Bauer Presents "On the Edge"
In the beginning was Piping. 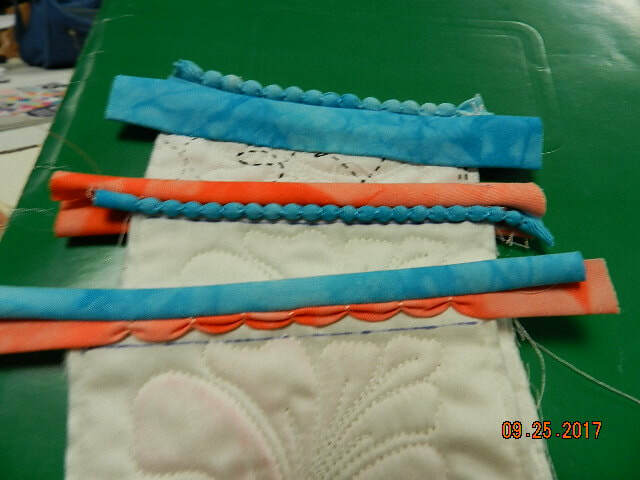 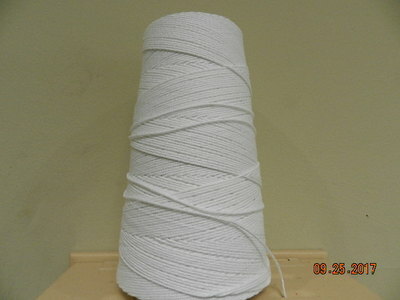 Mary shared with us her excitement to learn how to add piping to little girl dresses. 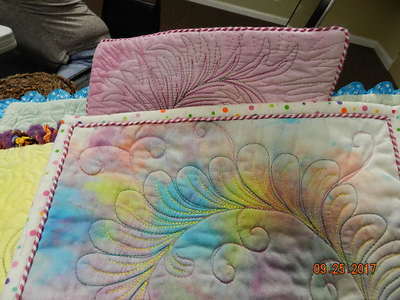 After learning this technique, she could not stop, so she purchased a bolt of piping and kept on going. 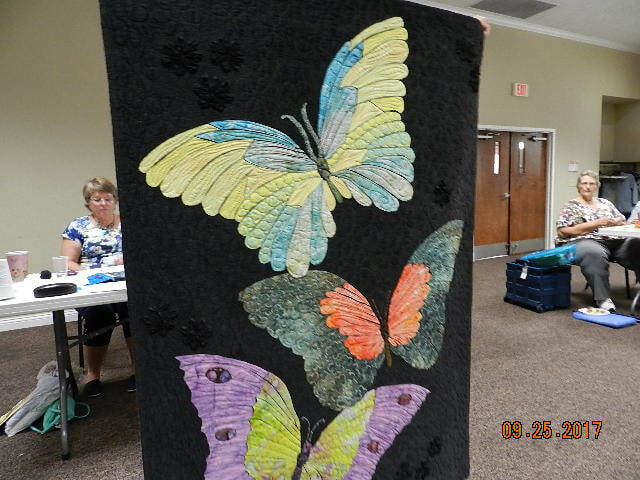 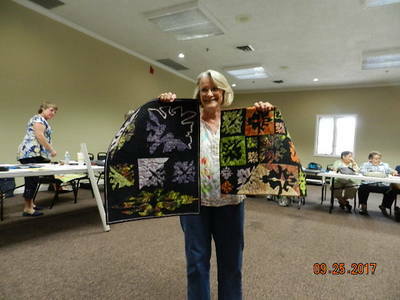 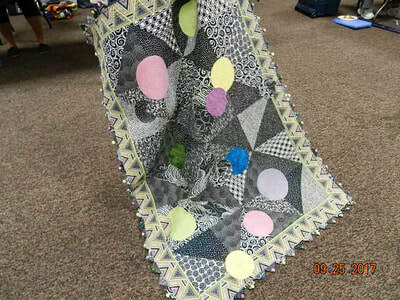 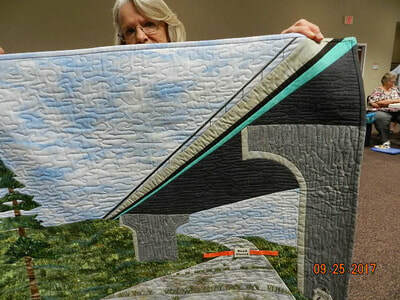 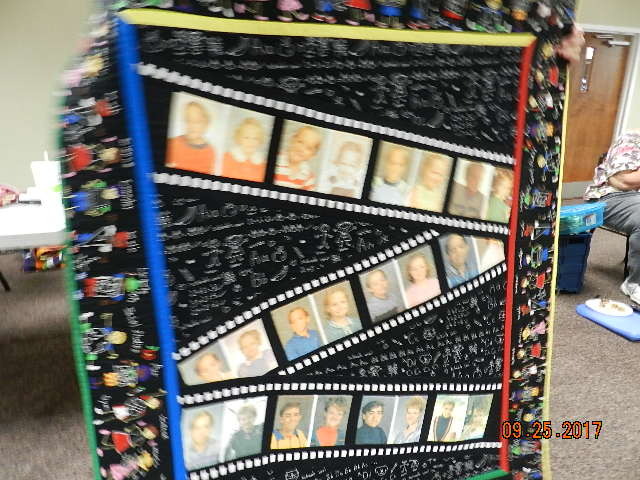 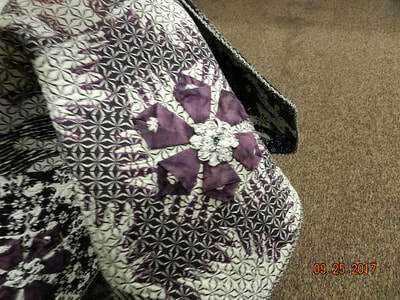 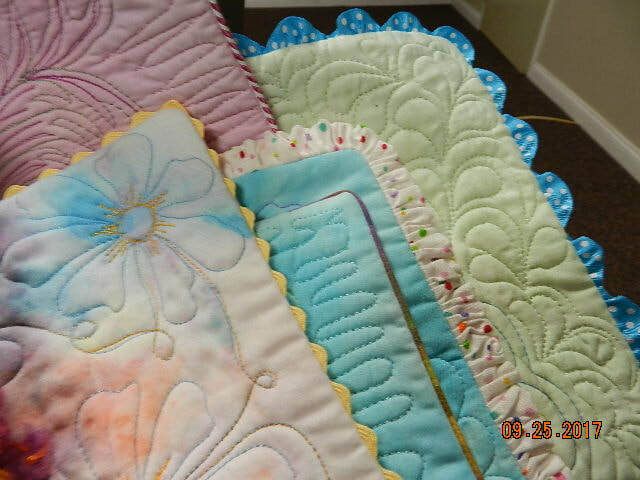 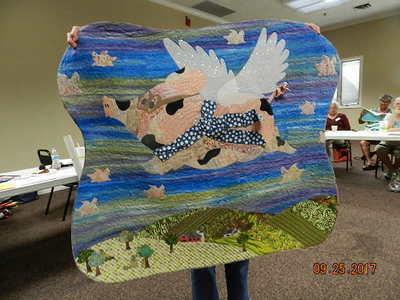 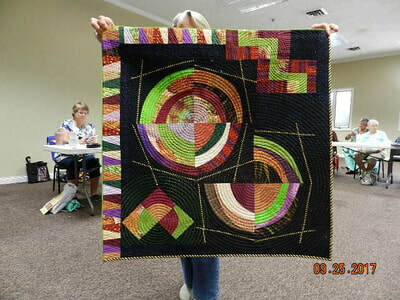 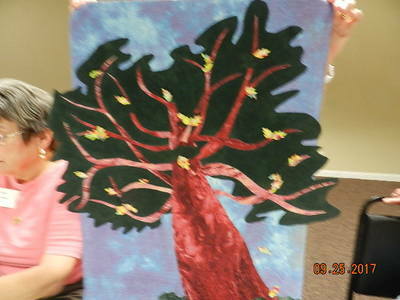 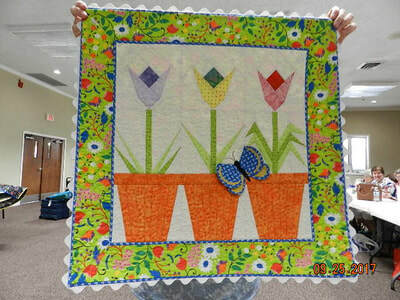 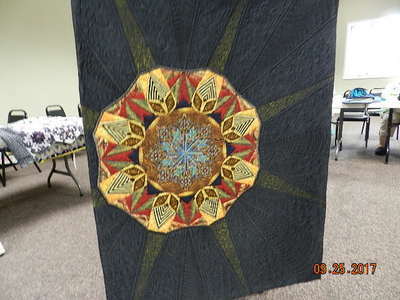 It did not take long until the technique was incorporated into her quilting. 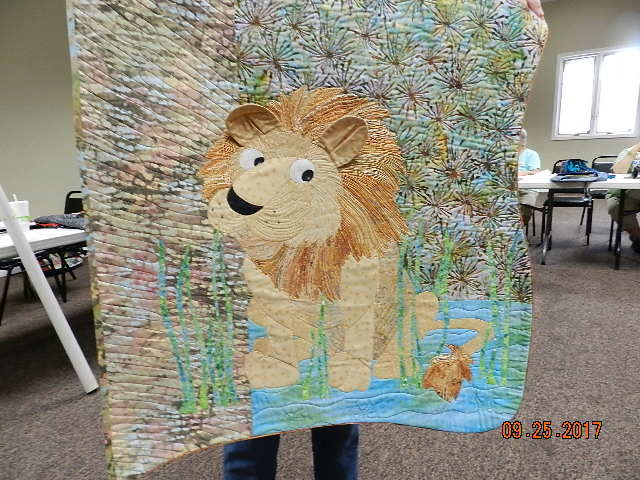 This remarkable quilter does not use a pattern and does not want to be finished with the quilt, so moves quickly to the next project.